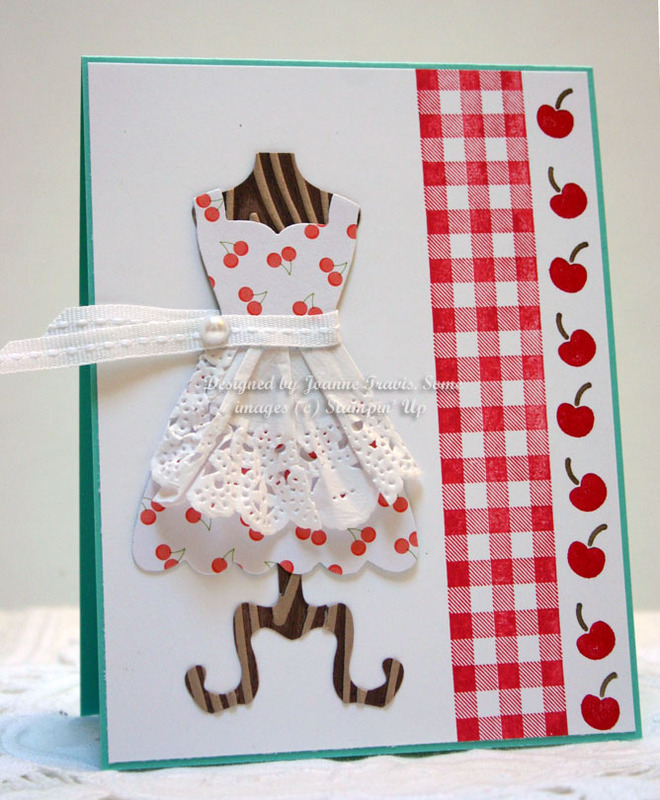 Stampin' Up gingham wheel in Real Red on Whisper White (preview), cherry from Create a Cupcake, All Dressed Up framelits die with white doily and stitched ribbon with retired Sweet Shop paper. 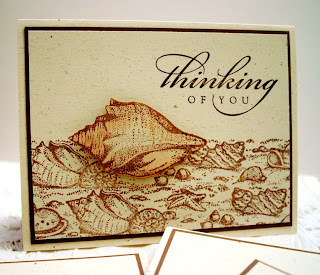 Card base is the new Coastal Cabana. 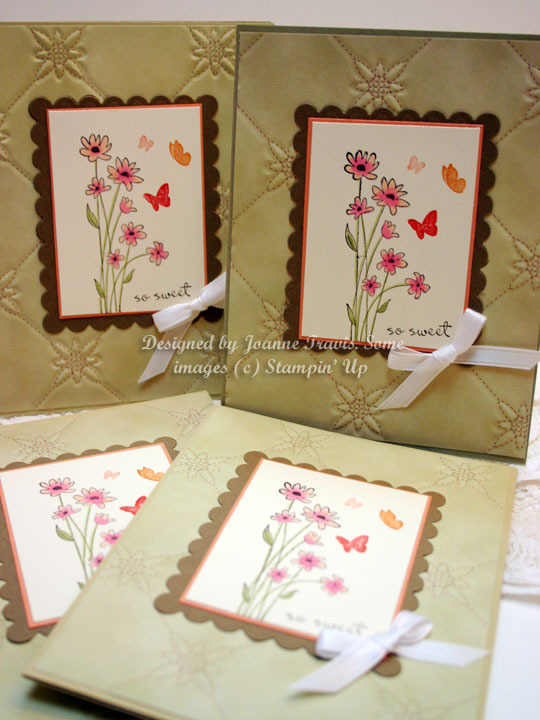 All new SU colors: Strawberry Slush, Crisp Cantaloupe, and Coastal Cabana and a portion of the Wildflower Meadow background stamp for the floral image. New Washi tape made into banners for part of layout (Mojo Monday #291). 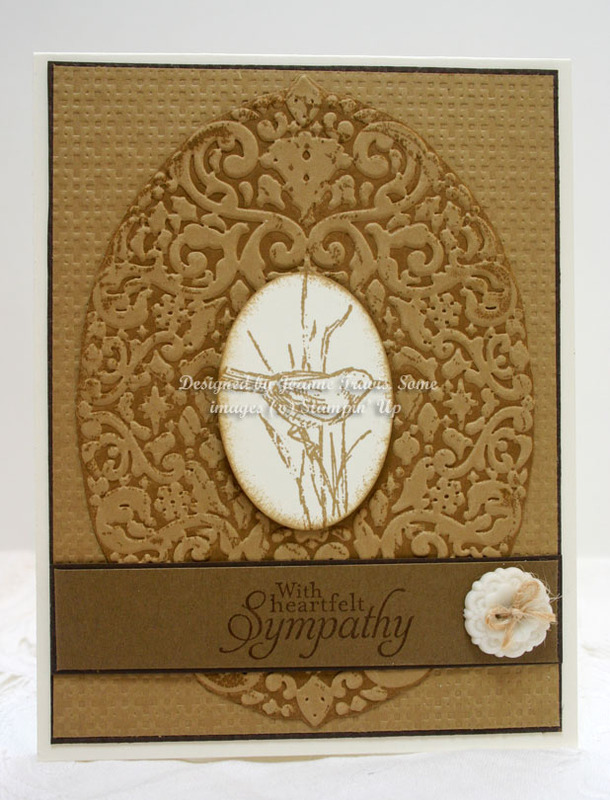 Mosaic embossing folder is also a new addition, sentiment is not. I love the black magic technique with this stamp!! I stamped it in craft white and then colored it in with colored pencils. Great for a one layer card. The other one I left in just the black and white and added some white half pearls. Hope you are not getting too tired of me using this set :) I only got this one and the Simply Sketched in the preview. Just wanted that new catalog SO bad. Soft Sky is a retired color that is coming back to replace the Bashful Blue. I still have the original cardstock and inks since I loved this color so much. I inked the new Wildflower Meadow stamp in craft white and then stamped the Birthday Wishes sentiment (Bring on the Cake) in Soft Suede. 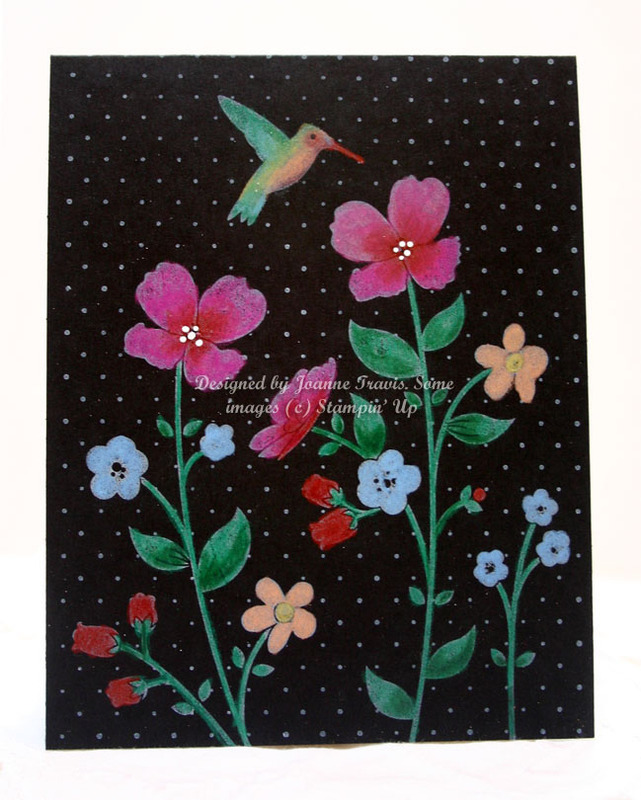 While white ink was still wet, I added white embossing powder to image, brushing it off over the sentiment with a small paint brush before heat embossing. 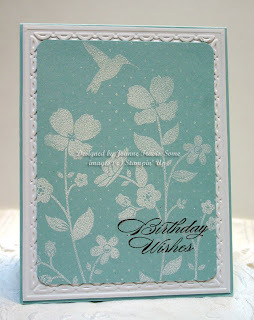 Added panel to a Whisper White and Soft Sky base, also used Framed Tulips embossing folder. Tip for this large stamp: if you don't have a large acrylic block, it will stick to the back of a wood block background stamp that has the clear label on it really well. I left the clear identifying label off of this new Wildflower Meadow stamp so it will adhere much better to an already labeled block. 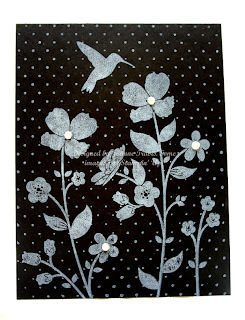 New Wildflower Meadow embossing folder, it could have been a little more centered but it's not too bad. I used the new color of Pistachio Pudding which is a pretty muted pale green and a great replacement for the Certainly Celery. 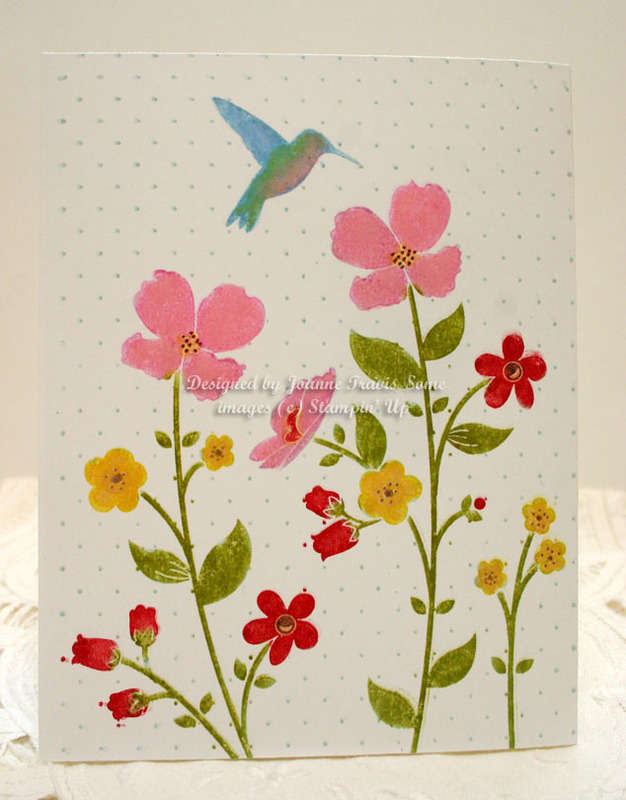 Wildflower Meadow background stamp was colored in markers and highlighted with white gel pen dots. Sentiment is from the new set Simply Sketched. The cardstock and ink on the new Simply Sketched bird image (new hostess set in the upcoming catalog) is called Baked Brown Sugar. This is similar to Soft Suede in my opinion, a lighter version of it. I think I like the name of it more than the actual color though... If it had a bit more cinnamon in it I think it would be perfect. Soft Suede, Baked Brown Sugar, Espresso, and Vanilla cardstocks. 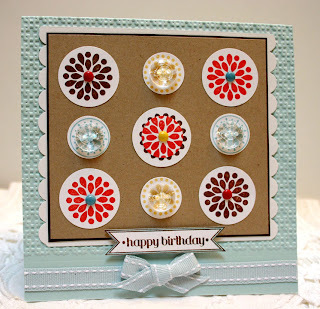 Embossing folder frame (retired), lattice squares, and new Very Vintage designer buttons. 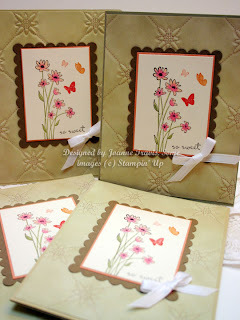 New Stampin' Up preview of an upcoming catalog selection called Wildflower Meadow. 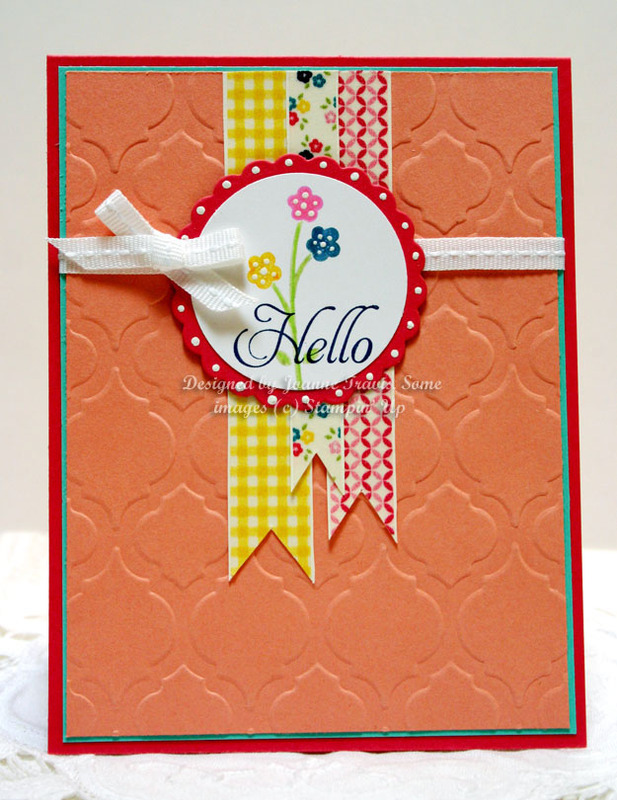 This is a full size background stamp and there is also a coordinating embossing folder that is sold separately. I colored this in various SU markers on Whisper White cardstock. 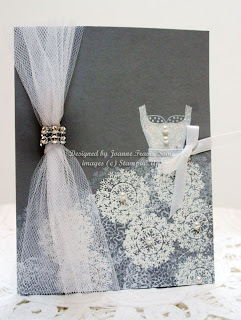 Stampin' Up supplies: Going Gray cardstock, stamp sets used were All Dressed Up for top, Delicate Doily, Artistic Etchings, and Mixed Medley for bottom of gown. Some were stamped in Craft White and some were embossed with white powder. Added half pearls and non SU rhinestone ribbon and white tulle. This was inspired by a bridal gift bag I saw in the local Fred Meyer grocery store. 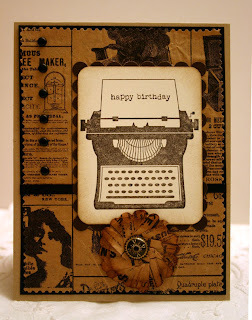 I really love this Ex Libris background stamp by Stampin' Up, it is great for a one layer card and I used it this way for Paper Players Challenge #142. 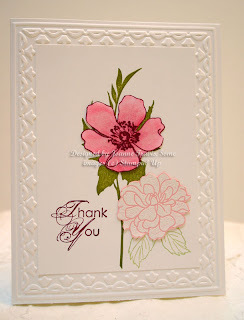 Stamped in Not Quite Navy and edged with Crumb Cake ink. 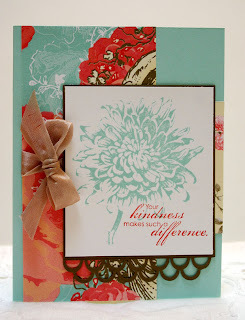 Sentiment is from Blooming With Kindness set in matching NQN ink. 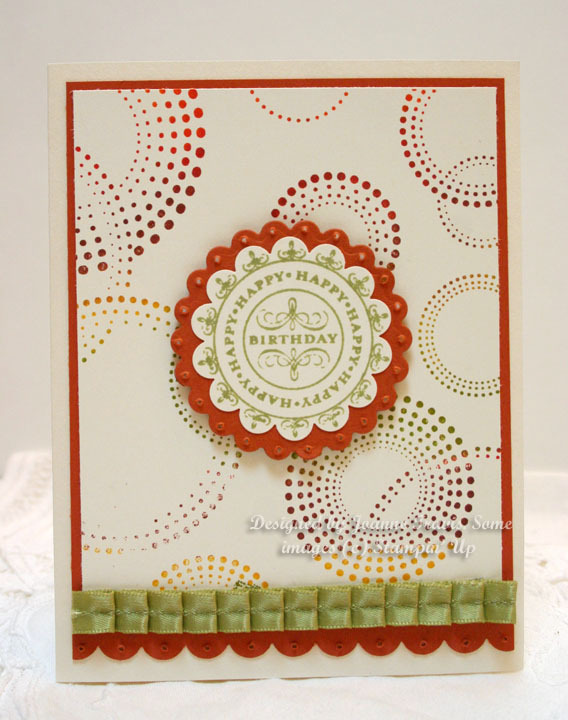 A very clean and simple card using all Stampin' Up supplies. 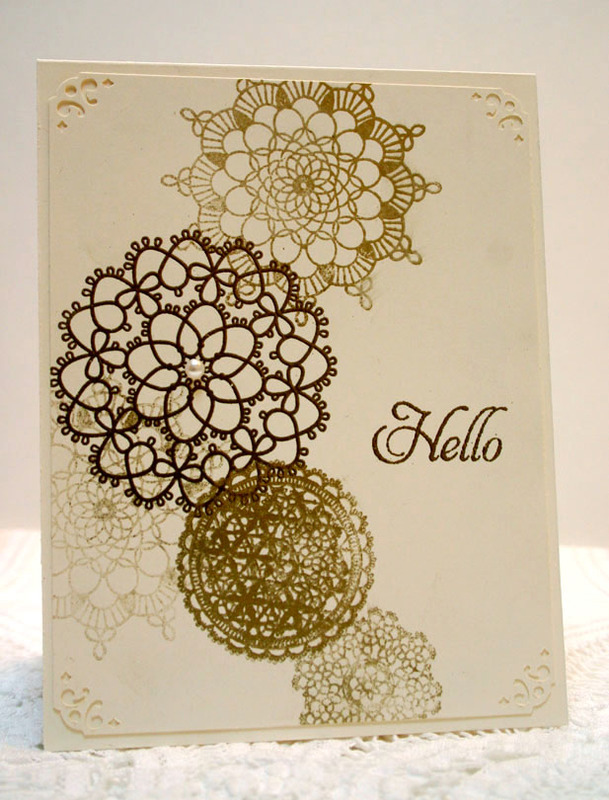 Whisper White base was embossed with one of my favorite folders, the Tulip Frame. Fabulous Florets stamped in Old Olive for large stem, Celery for small leaves, white embossed on Pretty in Pink for small flower, Razzleberry stamped larger flower colored in markers. Sentiment is from Blooming With Kindness. 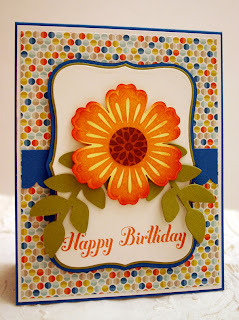 Concentrating on the soon to be retiring colors, I created this card today. Pretty In Pink, Celery and Regal Rose all will be going but not the Old Olive. Thankfully so since this is my favorite green. 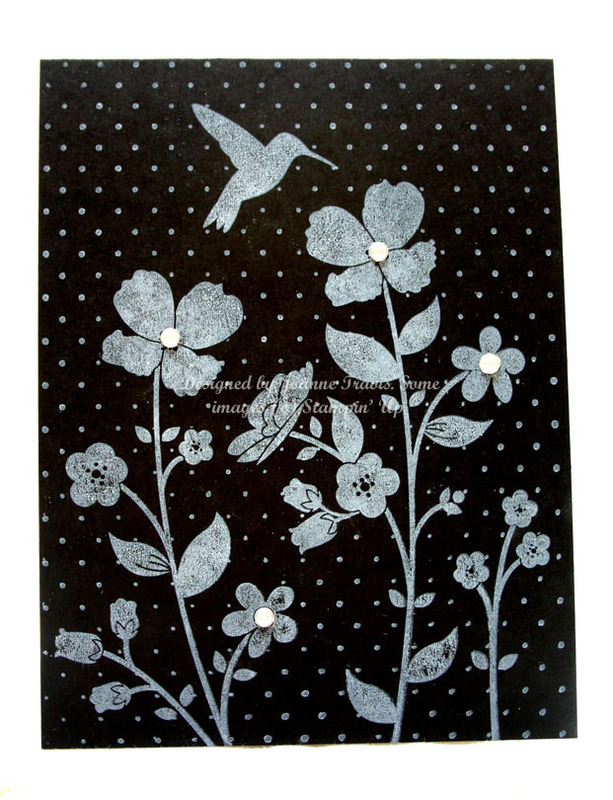 Stippled Blossoms set on Whisper White cardstock with sentiment from Just Believe. 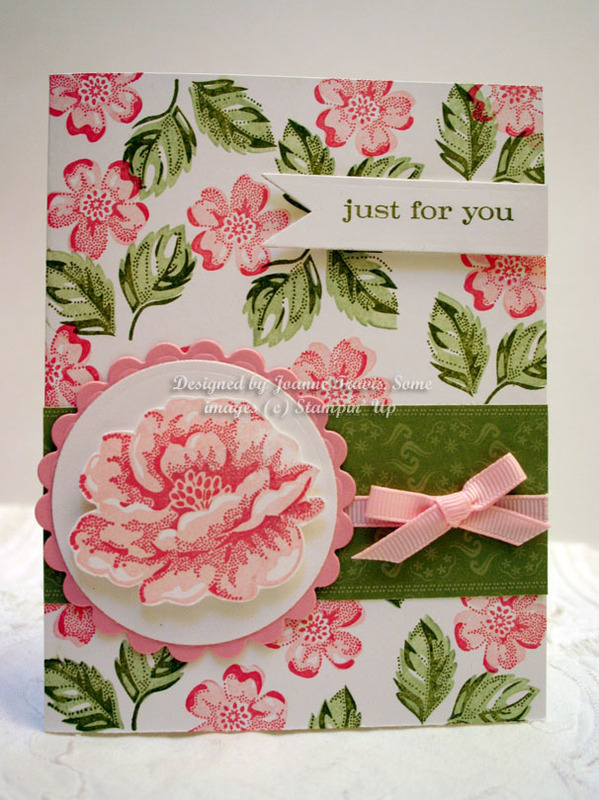 Ink colors: Pretty in Pink with Regal Rose for flowers, Certainly Celery and Old Olive for leaves. The green strip is retired SU designer paper but I don't know the name of it, it was in with my mixed papers. 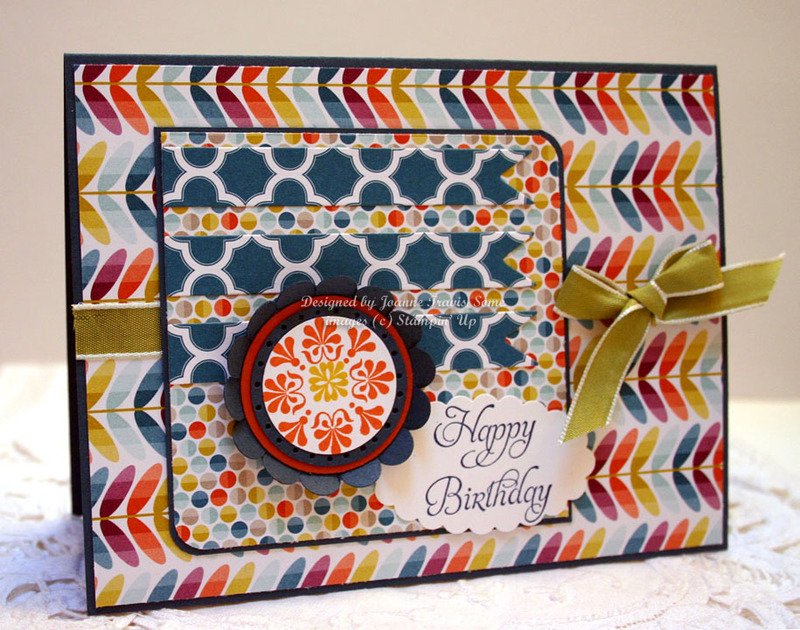 While I had these colors on my desk I decided to create another card with this combo of Crushed Curry and Bermuda Bay with a bit of Soft Suede thrown in. 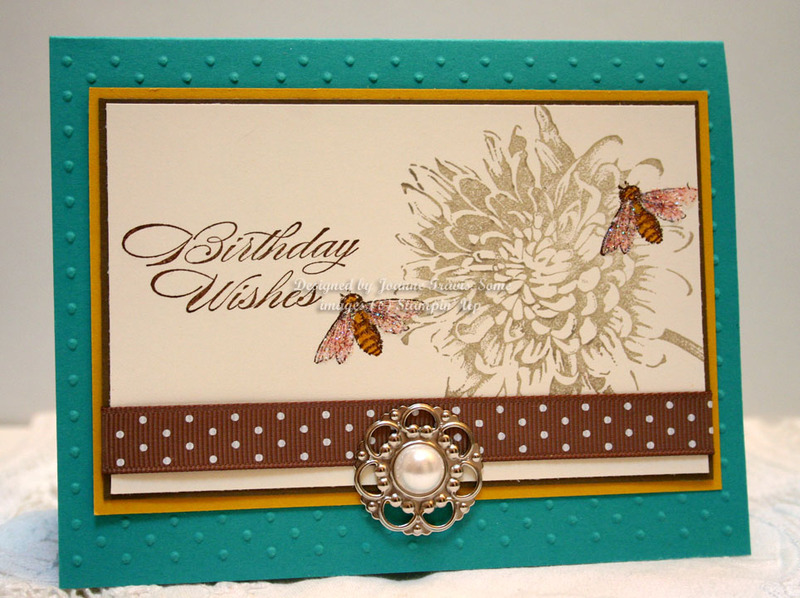 Blooming With Kindness blossom stamped in Crumb Cake, birthday sentiment in Suede, bumblebee from Nature Walk with Dazzling Diamonds added to wings. Designer build a brad and large half pearl along with polka dot Soft Suede grosgrain ribbon to embellish. This was inspired by the cover of the SU 2009-10 catalog. Bermuda Bay is Back, Baby! So glad I kept my "retiring" colors! The colors that will be making a return in the regular color line are Bermuda Bay, Crushed Curry, Island Indigo, Blushing Bride, Pear Pizzazz, Pool Party, Soft Sky, Wisteria Wonder, and a new one of Smoky Slate which looks exactly like Going Gray to me. 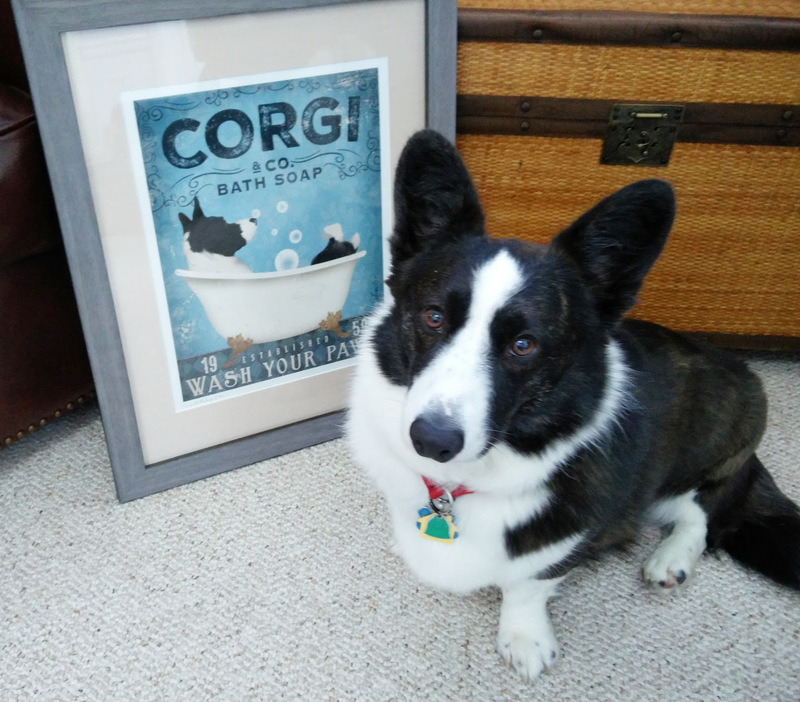 Some of my favorites are going away, like Bashful Blue, Baja Breeze (say it isn't so! ), Regal Rose, Riding Hood Red, Celery and more. 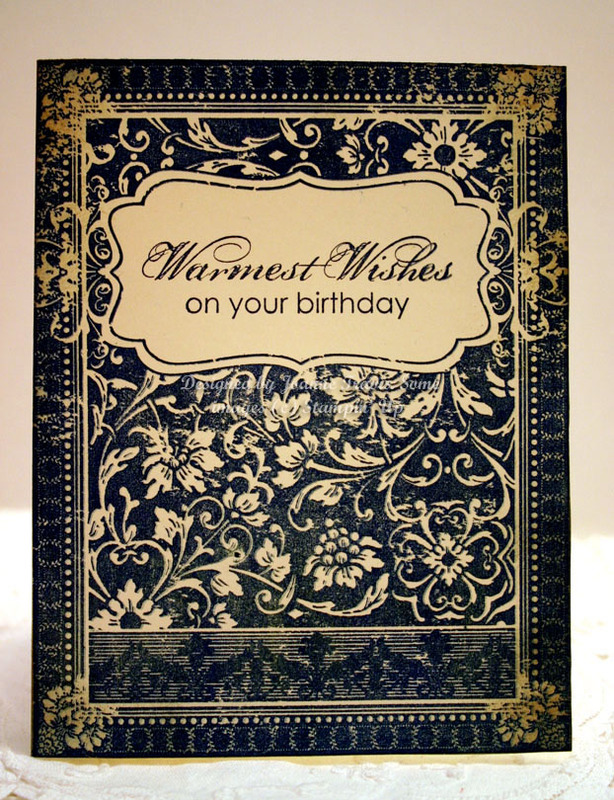 This card uses Bermuda Bay base, Ex Libris stamped in Crushed Curry. 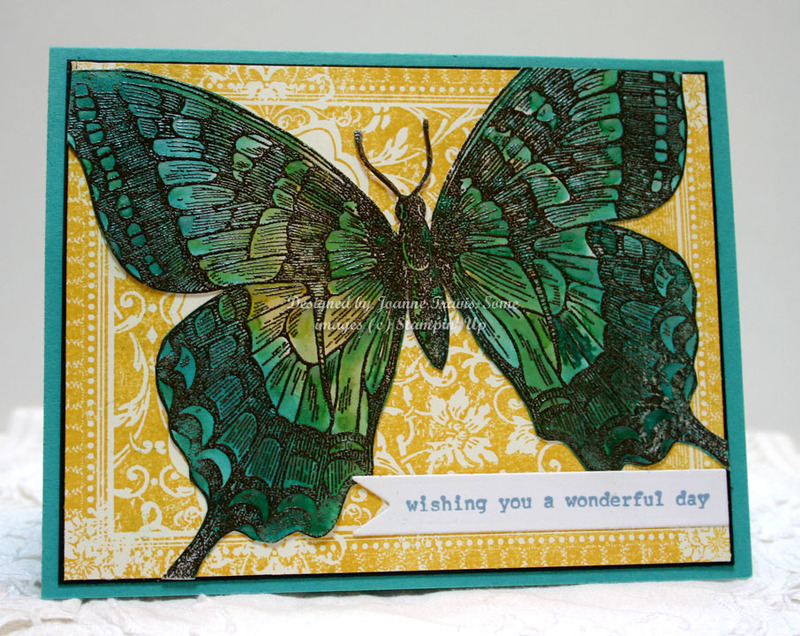 Butterfly is embossed with Espresso powder on Glossy White then sprayed with Vanilla Shimmer Smooch Spritz. While it was still wet I quickly added some drops of Bermuda Bay and Crushed Curry re-inkers and added some more Spritz to blend. Cut out and adhered to card front. Very shimmery in real life with the look of a real butterfly. Apothecary Art and Bring on the Cake sentiment stamp sets, Olive and Vanilla cardstocks, retired dp, filigree brads and olive ruffled ribbon to embellish. Stampin' Up supplies, some retired. 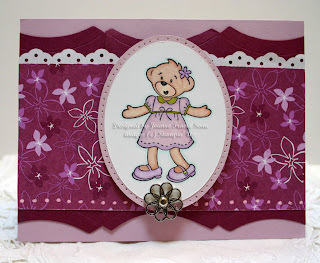 Build a Bear stamp colored in markers with Rich Razzleberry and Pale Plum cardstocks. Retired dp and filigree brads, background matting is small pillowbox die. This was recycled from an old project where I had made a basket using all pillowbox dies. 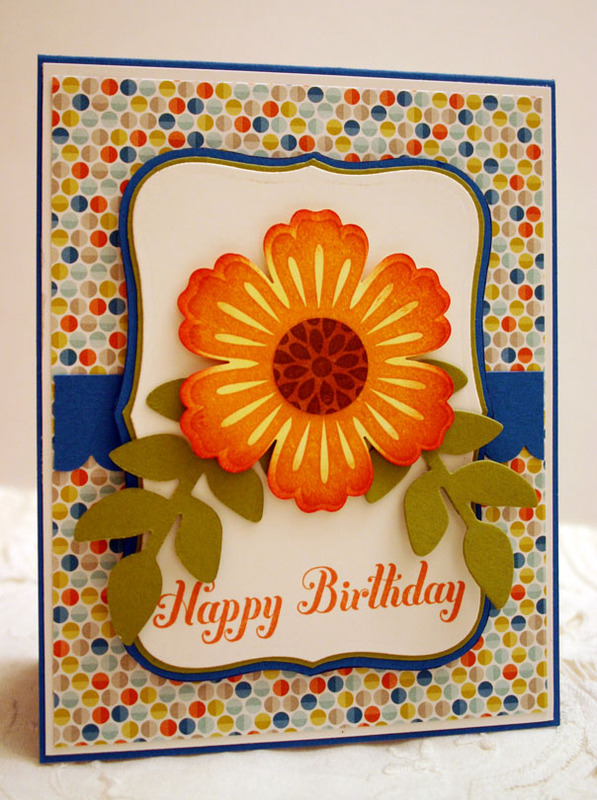 It got flattened out and I could not straighten it out again, so I turned it into a card. For the PPA156 color challenge of Certainly Celery, Marina Mist, and Bashful Blue, and also for the Saturday Sketch challenge for the layout. 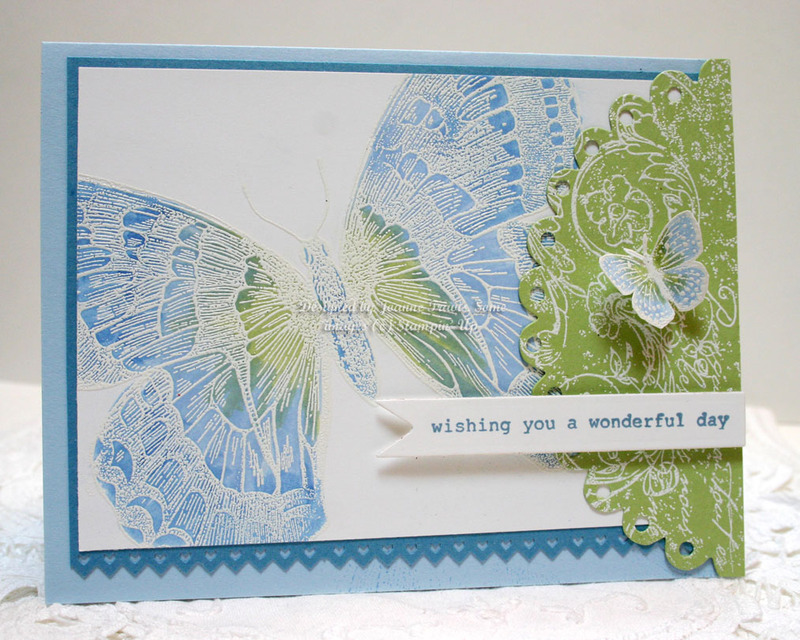 Swallowtail butterfly was white embossed and then colored with celery and bashful blue markers, sentiment from Bring On The Cake. Very Vintage wheel on celery circle. Small butterfly is from Kindness Matters. 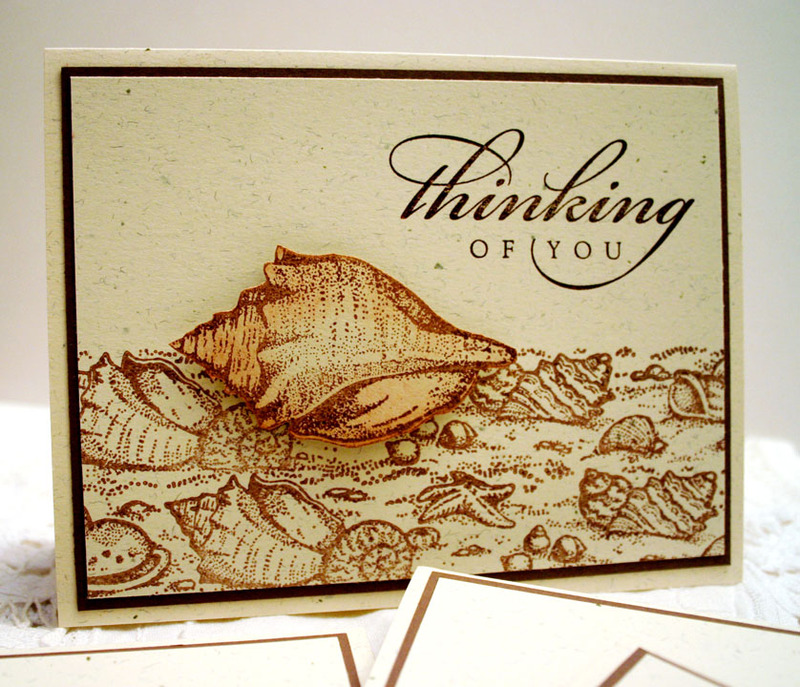 This is a real blast from the past and one of my favorite SU sets, Stipple Shells with the By The Sea wheel in Close To Cocoa on Naturals Ivory cardstocks. 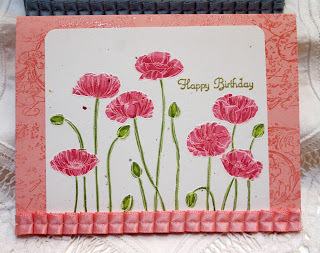 For OWH, I made some birthday and some Thinking Of You (All Year Cheer), I thought they would work for either a man or woman. This was inspired from the catalog with some changes. 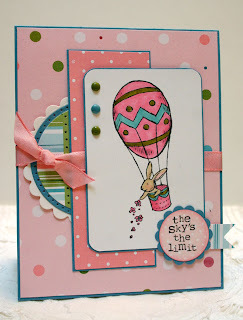 For the April OWH and Our Daily Bread Designs challenge with the theme Things That Fly. I used Stampin' Up supplies: Kindness Matters, Attic Boutique paper, Soft Suede, Pretty In Pink, and Very Vanilla cardstocks. Frame is a Spellbinders Nestabilities, White satin ribbon is non SU. I've been busy working on completing my box for OWH, I'm about 20 cards away from a full box. Yay! The first card uses my never touched SU set Up In The Air for OWH's challenge to use anything that flies on your cards (butterflies for this one and second posted card). The paper is a really pretty embossed quilted pattern from Carol Wilson designs on River Rock or Mellow Moss with True Thyme matting for Nestabilities frames. The second card uses some retired SU paper that I love the retro 70's look of with Cocoa and Pink Passion cardstocks. 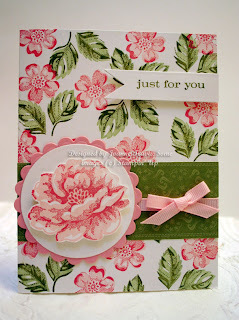 Sentiment and flower images from SAB set Blooming Marvelous. 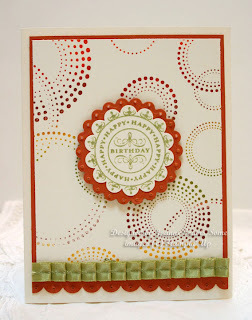 The third uses the circles background stamp, birthday sentiment from Bring on the Cake? with Old OLive ruffled satin ribbon on Very Vanilla, Real Rust matting. The final picture is a case from my friends Julie Alberda and Sharon Graham from the SU convention, I think. 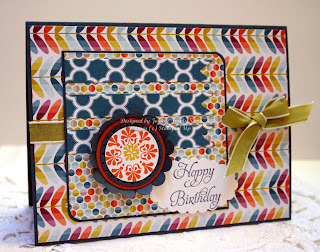 Love the simplicity and easy mailability factor for this one layer card that is stamped and colored sort of in the middle before you fold it to set some of the design on the back. Pleasant Poppies in markers and Blooming With Kindness sentiment. 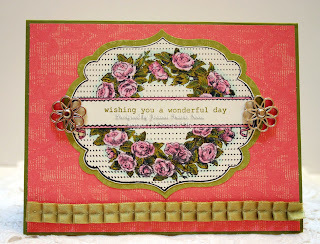 For today's Mojo Monday sketch I used Sycamore Street dp with the Madison Avenue stamp set. 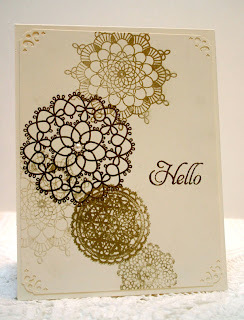 Stampin' Up Delicate Doilies embossed in gold on Very Vanilla cardstock. 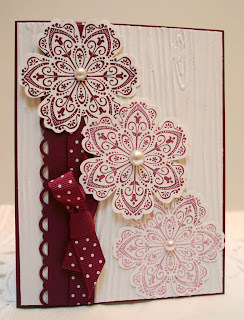 All Stampin' Up: Blushing Bride, Baja Breeze, and Rose Red cardstock. 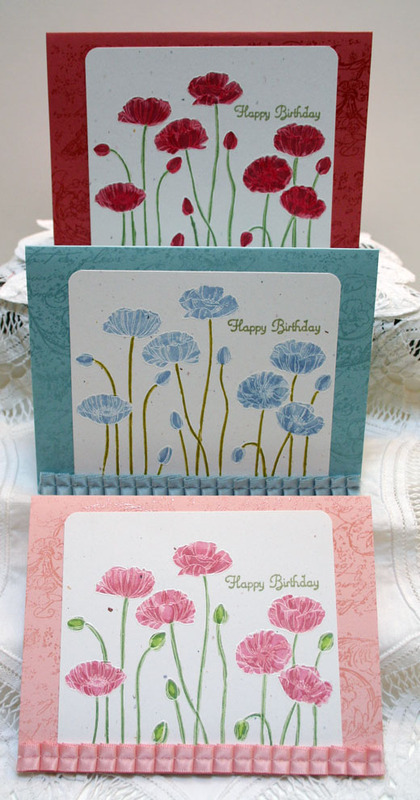 Pleasant Poppies white embossed on Confetti white and colored with markers. 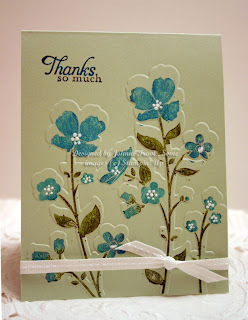 Sentiment in Olive from Create a Cupcake. 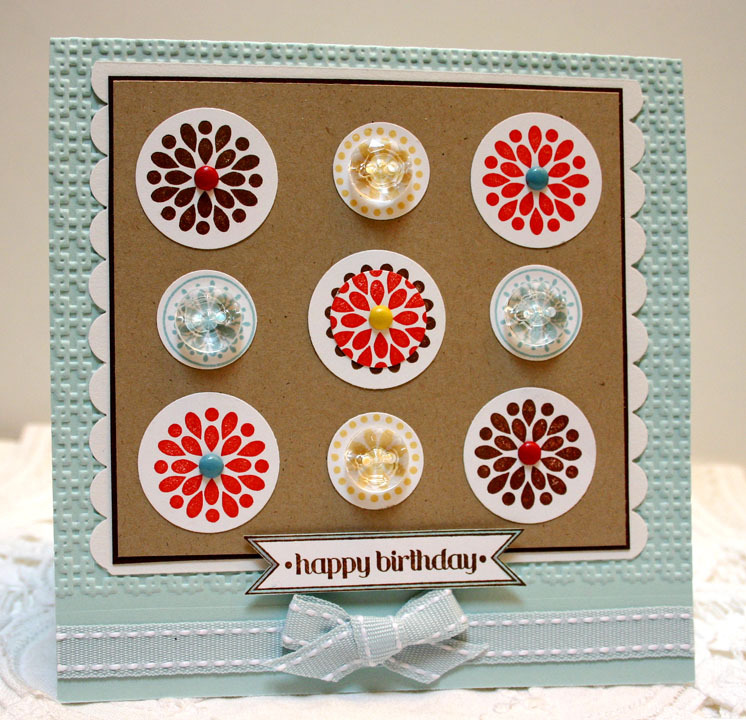 The background on each card is clear embossed with the Very Vintage jumbo wheel and each is embellished with the coordinating ruffled ribbon. 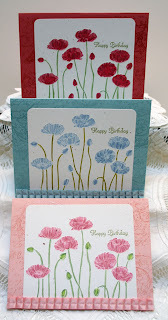 All Stampin' Up: Sycamore Street dp, Pacific Point, Old Olive, and Whisper White cardstocks, Bring On The Cake and Mixed Bunch stamp sets, leaf framelit from Secret Garden. 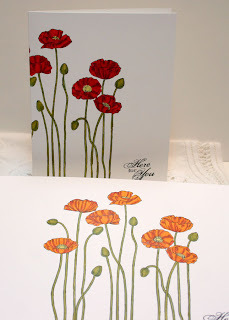 Stamped flower in Tangerine, colored in Daffodil and inked edges with Poppy. Center in Chocolate Chip. 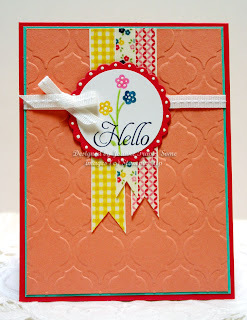 All Stampin' Up: Mixed Bunch stamp set in Saffron, Poppy, Chocolate, and Baja inks. 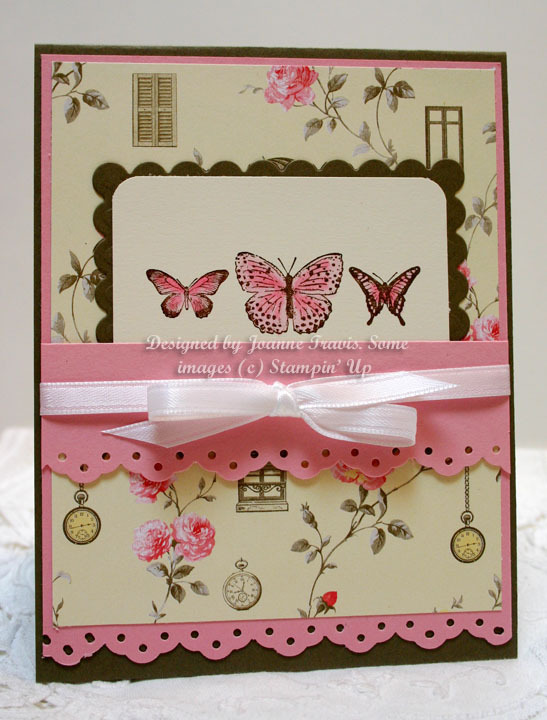 Soft Sky card base with matching stitched ribbon, brads, faceted buttons. Itty Bitty Banners for sentiment. 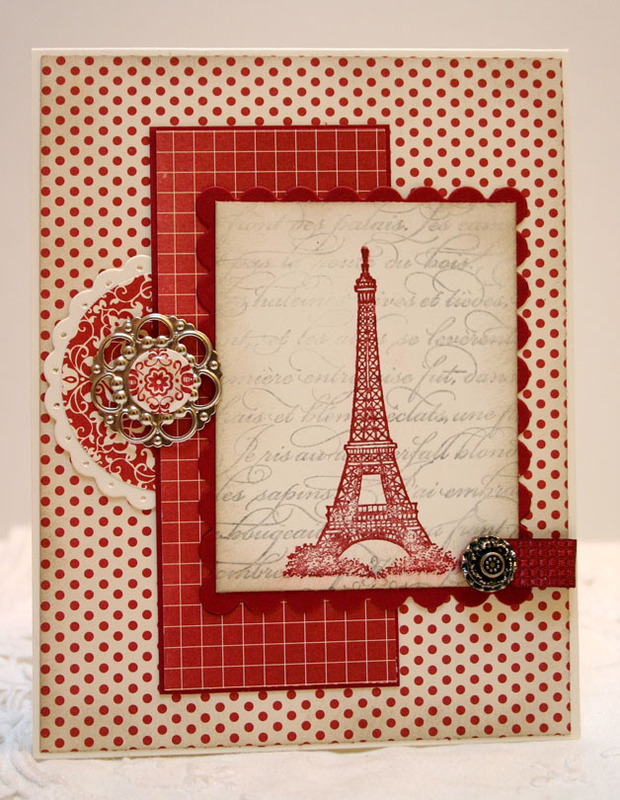 All supplies are Stampin' Up. 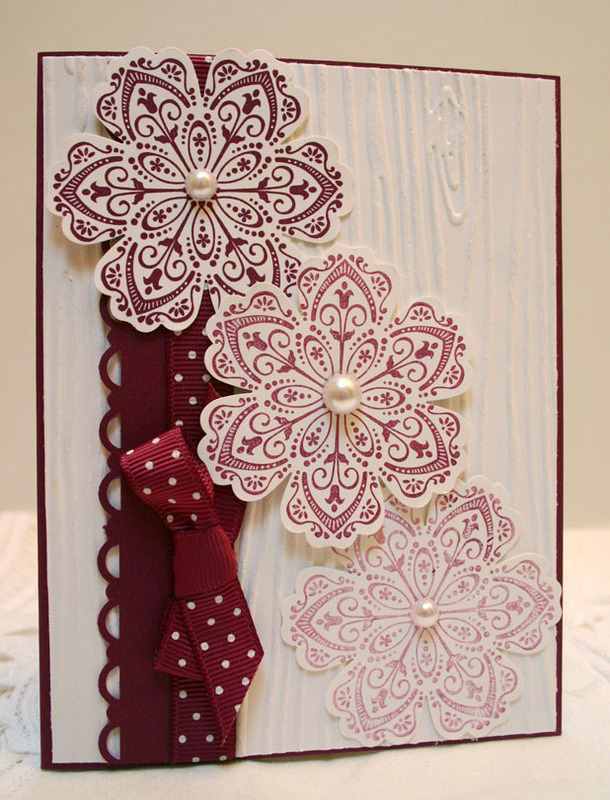 The first card is Rich Razzleberry and Whisper White embossed with the Woodgrain folder, embellished with half pearls and coordinating dotted ribbon (retired). The second card uses a scrap of Attic Boutique paper, the tab punch, and some red eyelets that I had laying on my desk. Leftovers from yesterday's attempt to clean and organize. 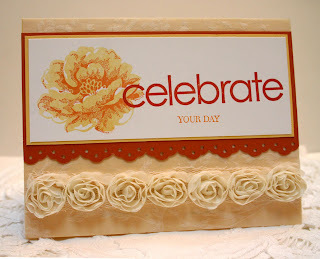 Real Red, Pool Party, and Whisper White cardstocks, Old Olive satin ribbon and red brad to embellish. 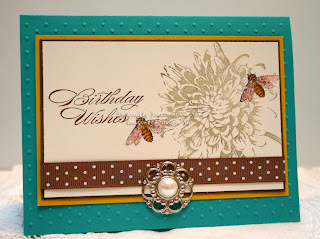 The layout was inspired from a card swap but I don't know who to credit since there was no name on it. 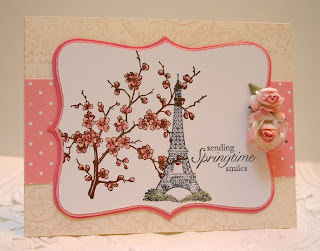 All Stampin' Up supplies of Artistic Etchings stamp set with En Francais in background of image, Cherry Cobbler and Very Vanilla cardstocks, Love Letter dp, vintage brad and Cherry Cobbler quilted satin ribbon, and designer builder brads from current mini. This is the Mojo Monday 287 sketch layout. 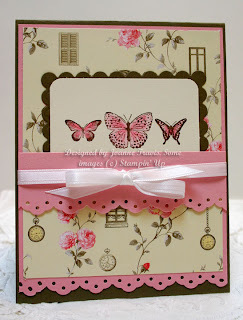 Stampin' Up supplies of Pretty in Pink, Regal Rose, Vanilla, and Whisper White cardstocks. 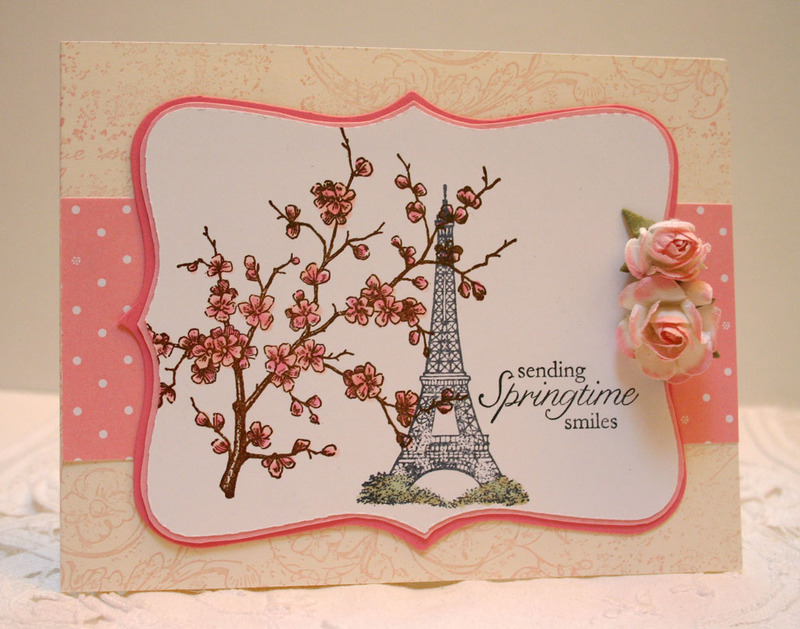 Easter Blossoms stamp set for branch and sentiment, Artistic Etchings for Eiffel Tower. Roses from artisan embellishment kit in the mini, Top Note Sizzix die for frame. 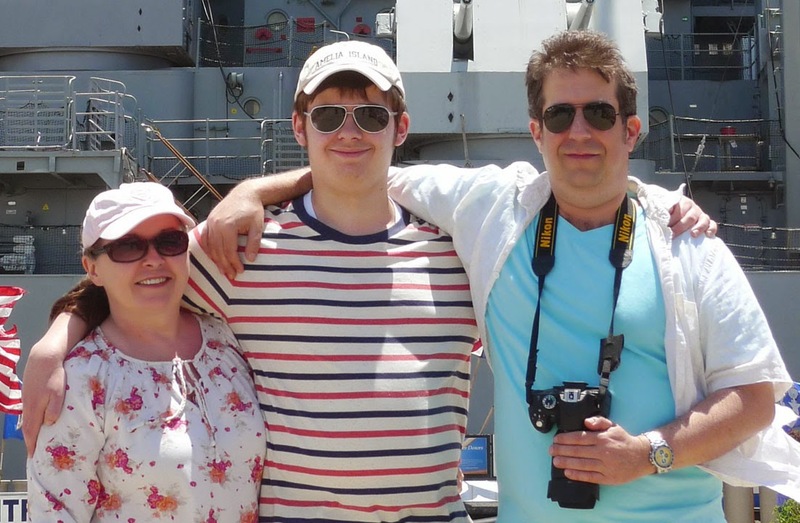 Very Vintage jumbo wheel on background. Blooming with Kindness stamp set with some scraps of Attic Boutique paper, Crumb Cake seam binding ribbon, Pool Party card base. Martha Stewart border punch in Soft Suede. There are a few images in this Everybunny set that will extend past the Easter holiday so don't put it away quite yet! 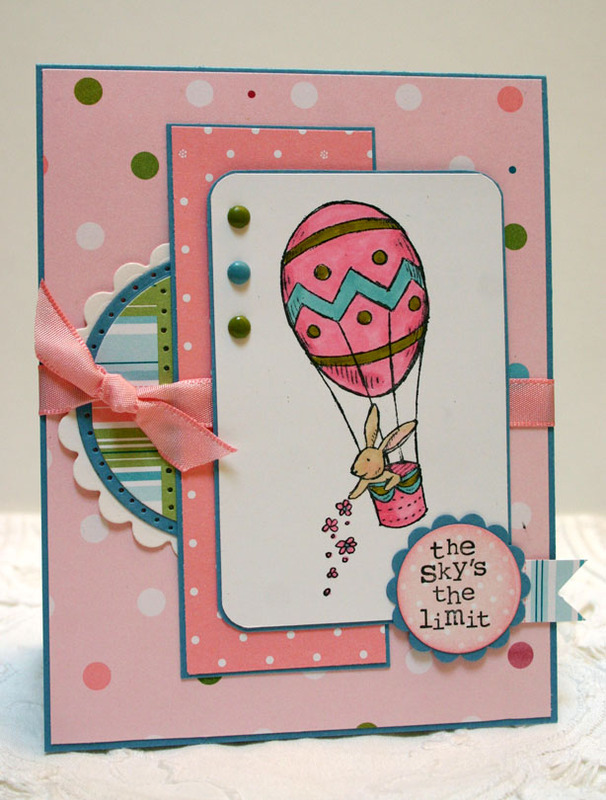 I used the balloon image, Up In The Air stamp set for sentiment and some retired dp for this week's Mojo Monday 287 sketch layout. 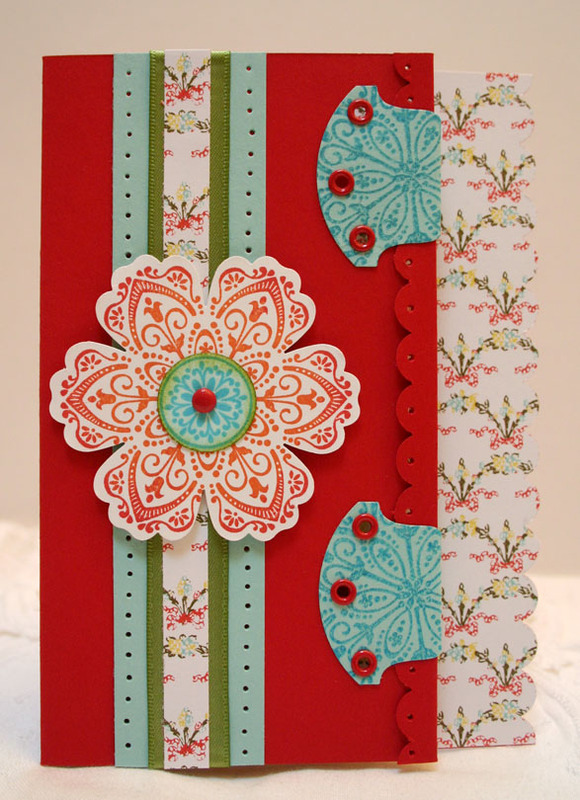 Cardstock Marina Mist, Whisper White, and Brights collection brads. 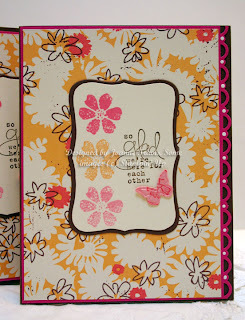 Stampin' Up supplies of Celebrate Everything and Stippled Blossoms stamp sets, cardstocks of So Saffron and Dusty Durango. 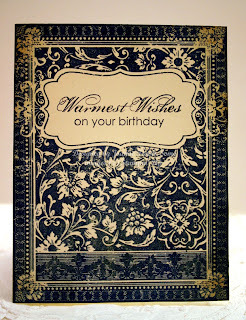 The card front is covered with a sheet of vintage embossed vellum stationery that I thought was so soft and pretty.